Local program coordinators should submit entries along with the remainder of the Southeast Winter Games registration. This event is will be held February 16-17, 2019 in Chesapeake, VA. If you are interested in sending athletes from your local program, please email sports@sonc.net. 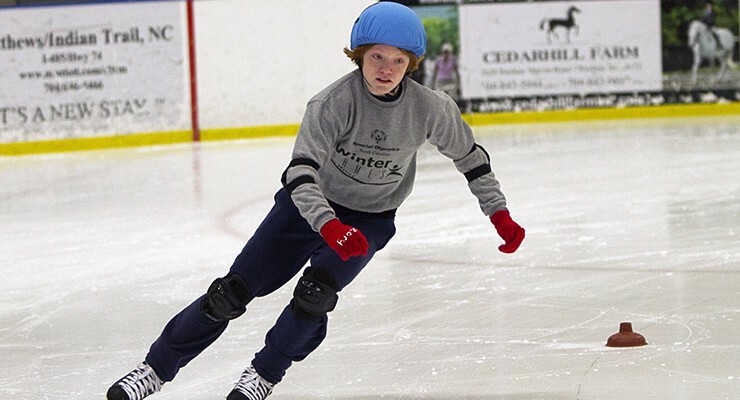 Special Olympics Southeast Winter Games – Figure Skating is an additional competition opportunity for SONC athletes, as well as athletes from surrounding states. This event will take place on Sunday, February 10, 2019 at the Extreme Ice Center located at 4705 Indian Trail Fairview Rd, Indian Trail, NC 28079. Special Olympics Virginia invites Special Olympics athletes from other programs to compete in their Speed Skating Championships. This event is February 16-17, 2019 at Chilled Ponds Ice Arean located at 1416 Stephanie Way, Chesapeake, VA 23320 . If you are interested in taking athletes to this event, please complete this quota request form by Tuesday, December 11, 2018.